Some of the signs are first-degree sunburn, which is the redness on the skin after stepping out in the sun. Bengaluru: The sizzling summer in Bengaluru is taking a toll not just on elders, but also on children. 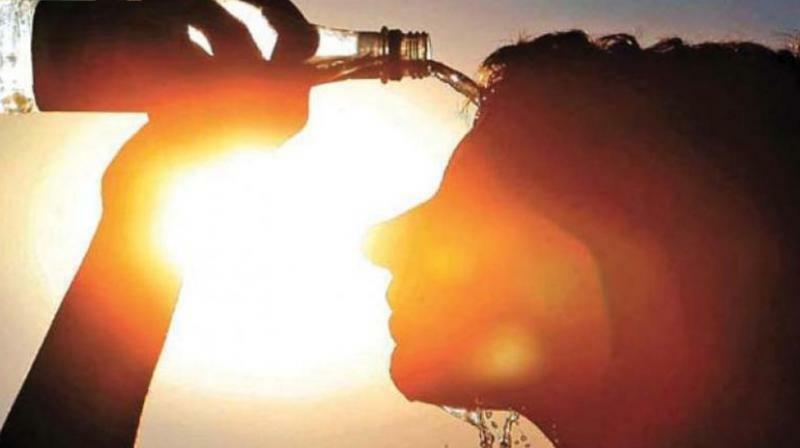 As the city has been witnessing a steep rise in temperatures over the last couple of weeks, a number of children have been suffering from sunburns, sun boils and other skin infections. The surprise rise in the temperature has been a shock for many bodies and skin, doctors said. Dr Yogesh Gupta, Head of PICU and Paediatrician, Fortis Hospital, Bannerghatta Road, said, "Sunburns are caused by a prolonged exposure to the sun. All age groups are vulnerable, but it can be severe in children in the age group of 2 to 7 due to their extremely sensitive skin. We are seeing at least 2-3 cases of children with sunburns at our hospital." Some of the signs are first-degree sunburn, which is the redness on the skin after stepping out in the sun. If people ignore it and continue to expose themselves to the sun, then blisters will appear, which is the second degree sunburn. It can be a very small blister, a white transparent blister or a big blister affecting a larger area. The problem starts when people scratch the blister which can turn infectious and spread to other parts of the body. If it is a severe sunburn, they will need IV fluids as well and monitoring by doctors to ensure that it's not evolving into something more serious. Some of the patients are also experiencing sun boils, which are nothing but second-degree sunburns which are due to exposure to heat or direct exposure to sunlight. "Sun boils are nothing but second-degree sunburns due to exposure to heat or direct exposure to sunlight. When these boils turn severe they can even cause sunstroke, heat stroke (third degree) which makes an individual's body completely red and often leaves them unconscious. At this stage, a patient is required to get immediate treatment as their condition can turn fatal," said Dr Parimala V. Thirumalesh, Lead Senior Consultant - Paediatrics and Neonatology, Aster CMI Hospital. She also said that this is the same season for chickenpox. "Chickenpox also presents as blisters, so it becomes difficult to identify whether it is a simple sun boil or it is some other infection such as Hand Foot and Mouth disease. There are plenty of viral and bacterial infections which can present as blisters which must be treated differently. Laymen have difficulty differentiating between these, therefore, it is advisable to visit a doctor and get it checked once a symptom comes up," she said.